IN THE GARDEN OF BEASTS. A DIPLOMAT AND HIS DAUGHTER DURING THE RISE OF NAZI GERMANY. ECHOES OF CABARET! This work of non-fiction by Erik Larson is a remarkable historical perspective of William E. Dodd, U.S. Ambassador to Germany during Hitler’s rise to power. With the ear of FDR, Dodd is given the posting to Berlin over the objections of Secretary of State Hull and the insiders of the ” Pretty Good Club,” who ruled the bureaucracy at the U.S. State Department prior to WW II. Dodd further distanced himself from “ the club” with his frugality, conservative approach and his unwillingness to bend the truth in his actions in Germany and resulting communications with his superiors. Dodd was a Diplomat by accident. He was a scholar, a Jeffersonian Democrat, a farmer who loved the history of old Germany where he had studied as a young man. He was shocked by the changes taking place as Hitler rose to power. 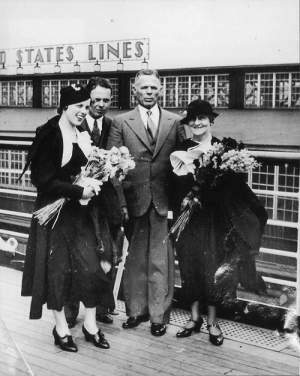 Dodd and his family arrived in Germany in 1933. His daughter Martha, abandoning a husband in New York, joins her father, brother Bill, Jr. and Dodd’s wife as the family establishes residency in Berlin. While Dodd is hard at work trying to understand Hitler and the Nazi Party, Martha joins the social whirl and conducts affairs with what became dozens of lovers of all rank in the diplomatic circle. On the contrary, Bill, Jr. and Dodd’s wife maintain a low profile, while Ambassador Dodd tries to fathom the complexities of a sea change in the German government. Erik Larson’s work is engrossing from the first page. Beginning with the faint echoes of jack-boots, through Ambassador Dodd’s perception, you envision the steps of the evolution of the coming blood and terror of Nazism. Meanwhile, Martha adopts the party line of a “New Germany!” At the turn of every page, I could faintly hear Joel Grey in clown make-up singing from Cabaret, Wilkomen, I am Cabaret. Do you feel good? Leave your troubles outside, in here, life is beautiful! Life was not beautiful and Dodd knew it. Germany was living an orchestrated lie. He stood firm against the rising abuse, publicly chided the Third Reich and enraged his detractors in Washington, D.C. Said Secretary Hull, “Why can’t you just get along!” Dodd would have no part of the establishment in D.C. or the Third Reich. His was a voice crying in the wilderness of Nazi propaganda and U.S. isolationism. Then came the “ Night of the Long Knives.” Hundreds of Hitler’s adversaries were murdered, in their homes, hanged in prisons, guillotined, while others were shot and left to die only to be discovered by their children. Hitler deemed his victims enemies of the state, justifying cold blooded murder.The persecution of Jews had already begun. Kristallnacht was on the horizon. The policy of appeasement toward Hitler, which Dodd fought so hard against, continued. No government recalled its ambassador or filed a protest. This was the beginning of Hitler’s rise to total power. To no avail, Dodd warned of a march toward war. Ironically, Roosevelt shared his view but most Americans had no stomach for involvement in European conflicts. In the end, FDR acquiesced to Dodd’s detractors and a member of the “Pretty Good Club” replaced him. In The Garden of Beasts reads like a novel. The multiple themes are intriguing. It is no surprise that it rose to the number one ranking on the New York Times Bestseller List. Martha wrote her own memoir of her life in Germany titled Through Embassy Eyes. Marthaand Bill, Jr. edited and published Ambassador Dodd’s Diary. How could the world stand by and watch this all happen? Read In The Garden of Beasts and you will discover the book is aptly titled. 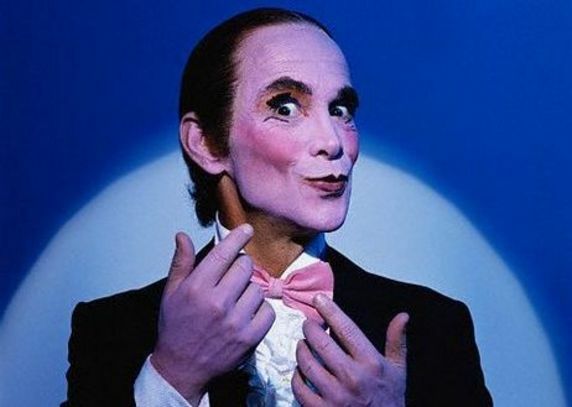 Contrary to the Cabaret lyric, life was not good, it was merely an illusion, clown face and all. 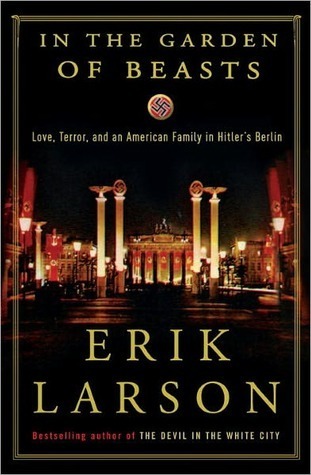 Erik LArson also wrote The Devil in the White City.